October 9, 2015 By Aurora Sisneros & filed under Projects. Infinity scarves really are the perfect accessory – they can be worn in so many fun ways, they can quickly jazz up an otherwise plain outfit, and they’re easy to throw on in case of chilly temperatures. Plus, they’re very simple to make on your own. In this article, you will learn how to sew an infinity scarf made from cozy jersey knit fabric that will drape nicely when arranged around your neck. 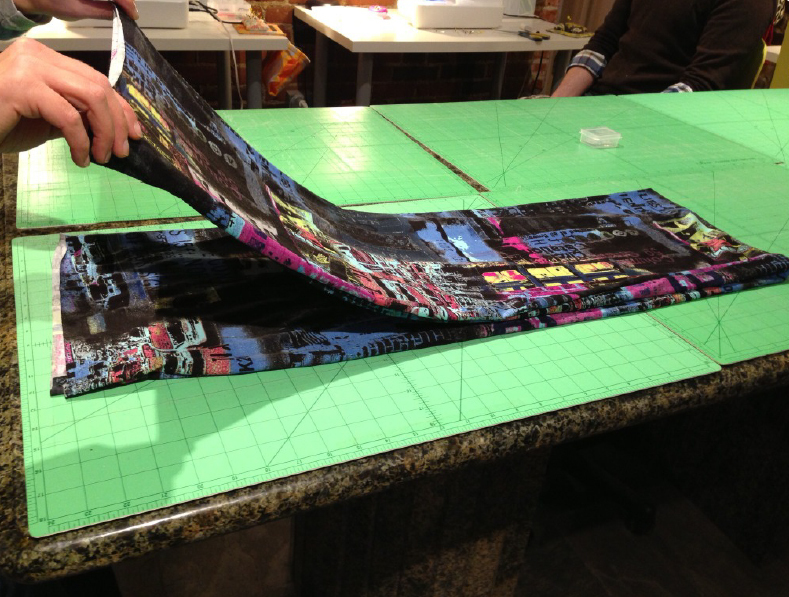 Cut the fabric on the natural fold so that you have two pieces, both 2 yards long. 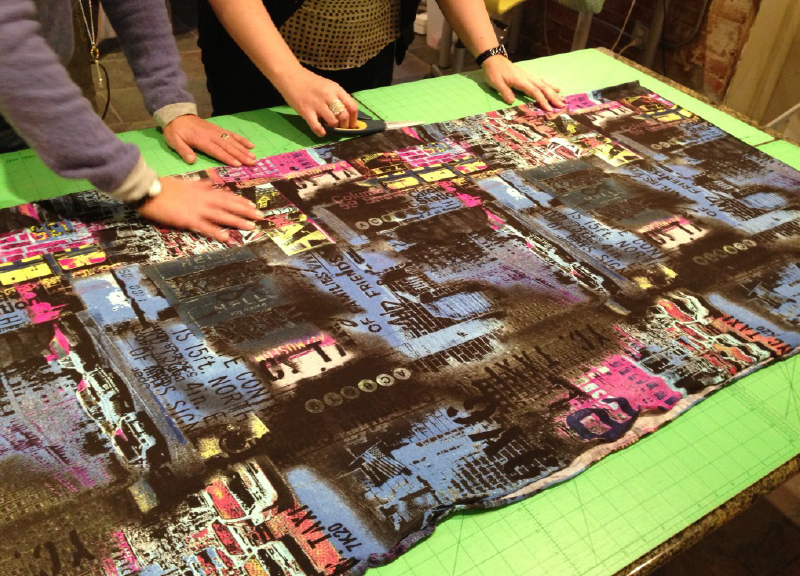 You’ll now be able to make two scarves: one for you and one for a friend! 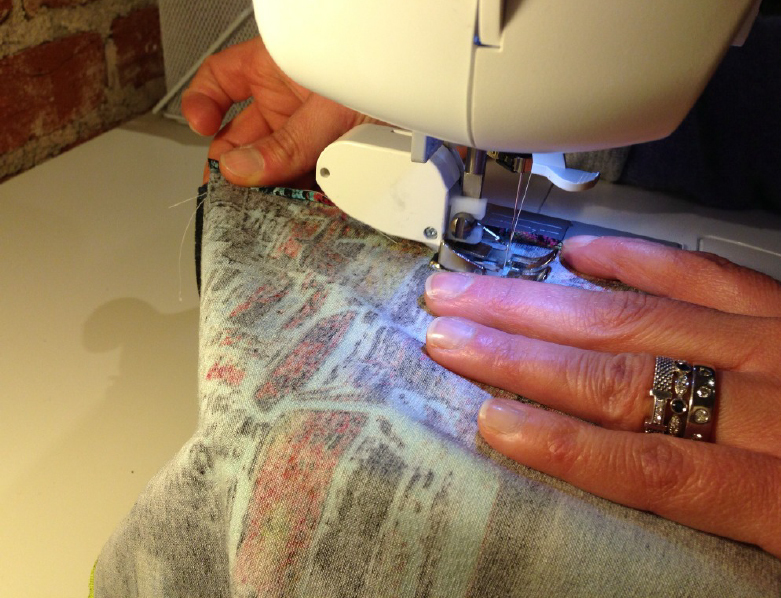 Set your machine to the stretch (lightning bolt or zigzag) stitch. Widen and lengthen the stitch a bit (3.5 length and 3 width). Make sure you are using the walking foot and a stretch needle. The fabric should hang past the foot a ¼” so that the seam allowance is ¾”. Starting in 3 inches from the short edge, backstitch (tie the knot) and then sew down the side, stopping 3 inches from the end and back stitch. Now that the tube is right side out, find the seam you sewed. Make sure it is on one edge and flatten it. 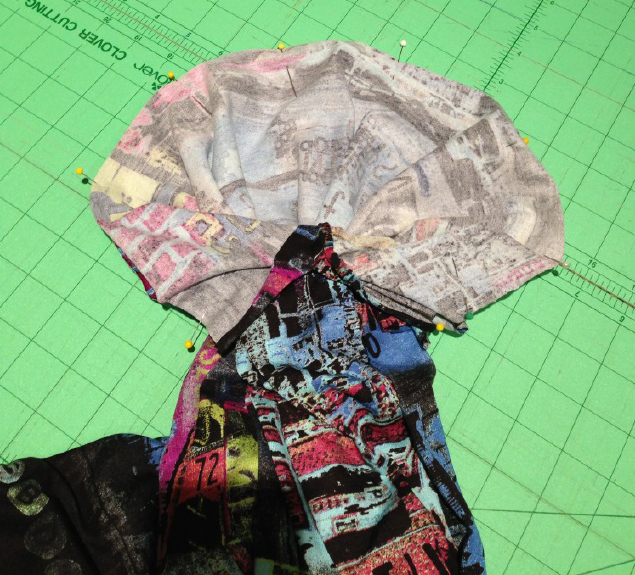 Fold the fabric in half so that the two unsewn (short) edges touch. Starting with the inner two fabrics, pin them right sides together all the way across. Keep pinning around the curve, pulling little by little to put right sides together until the entire raw edges of short ends are pinned right sides together (it will look like a flower coming out of a tube). Now, sew little bits at a time (straighten, sew, straighten, sew) along the pinned short edges, back stitching at both ends. Stuff the flower back through the hole and voila, your scarf is almost done! Carefully fold under the raw edges and pin the hole shut. Topstitch the hole closed using a long, straight stitch (for example, a length of 4). And there you have it! 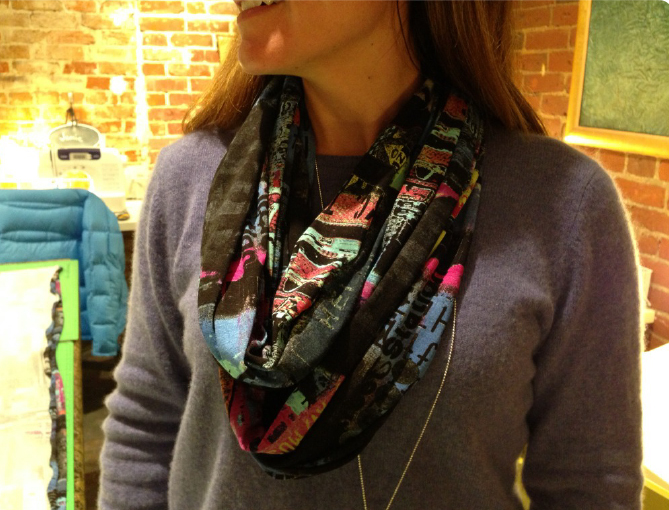 Your new infinity scarf is all ready to accessorize any outfit! These directions are so simple and easy to follow I think my husband could make the scarf! Thank you! Hi Melody. You can construct an infinity scarf from cotton fabric if you would prefer. The main differences will be that the cotton scarf will not drape the same when you wear it. It is a little thicker. The cotton fabric also won’t have the same stretch, so keep that in mind when putting the scarf on. Any idea on the size for a Mother/Daughter scarf? The daughter is 4 years old. I think she would get swallowed in 2 yards worth of fabric. Thank you! Hi Judy. A yard to a yard and a half might work better for your daughter. 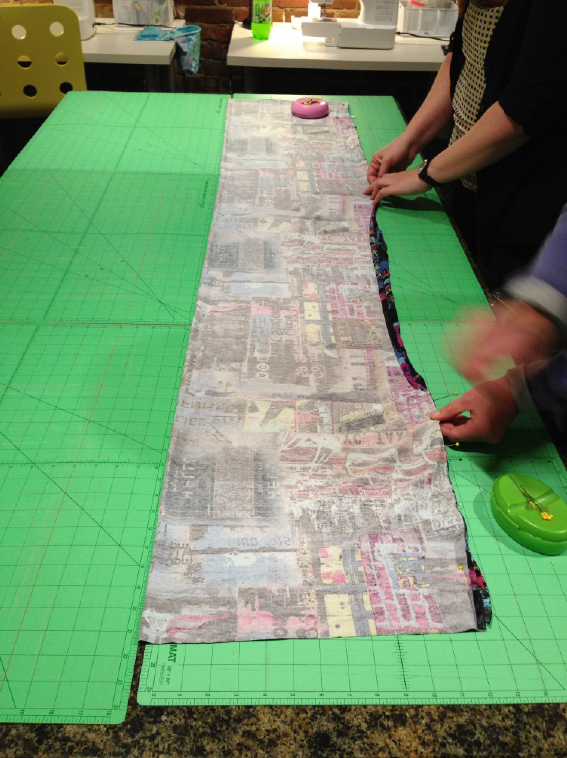 One way to get a good idea of how much fabric you will need is to take measuring tape, wrap it twice and drape it like you would the scarf and see how long it needs to be. If you are still worried that the scarf will look too big on her, you could consider making the width of the scarf smaller. This way it won’t look as bulky when she wraps it around twice. This is one of the simplest patterns/instructions I’ve come across for an infinity scarf. Thanks!! Very clear, well demonstrated, easy to understand. Thank you. I’ll be trying the infinity scarf pattern. Thank you. MY COMPUTER WAS HACKED BY THE ADS BEFORE THE VIDEO, SENT ME TO FACEBOOK AND FROZE ON THE AD. NO VIDEO. DON’T KNOW WHAT MODERATION IS BUT I WOULD LOVE TO SEE THE VIDEOS. Loved your easy-to-sew infinity scarf pattern. I’m going to make some to give away at our annual breast cancer survivors luncheon. I absolutely love to watch the videos with Aurora Sisneros. She always explains what she is doing with such clarity and I can easily make the project she’s demonstrating. She’s my favorite! Thank you so much for this tutorial. Very well done and easy to follow. Loved the infinity scarf pattern and great instruction. Ticket 19893 How wide is the scarf? I know it is 2 feet long but most Jersey knits come 60″. So is it approximately 15″finished? Thanks. Yes, you are correct- approximately 15″. Ticket 20151 This project looks very easy but my walking foot doesn’t seem to walk much. 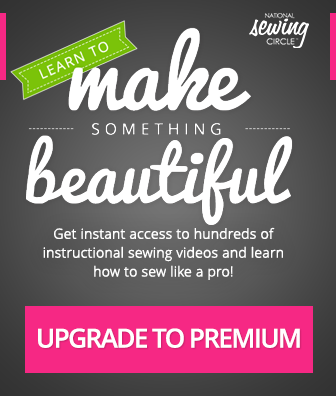 Can I use a serger instead? 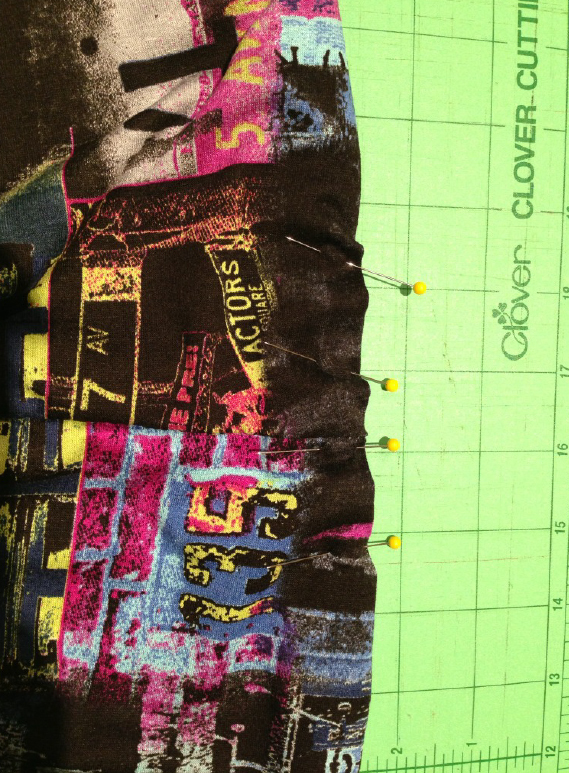 Yes, a serger is a great idea for this project! Thank you, I don’t know what happened to my walking foot but I did order a new one. Will try the serger for the first one. Would like to make a personal design scarf. Interesting, I enjoy reading and trying the patterns. Thank you. I’m going to make this for a gift. Looks very easy.